Residents of Cardiff and the Vale of Glamorgan are being asked to return walking aids that they are no longer using. This Cardiff and Vale University Health Board (UHB) initiative aims to not only reduce waste, but save thousands of pounds of valuable healthcare money too. After an injury or operation, people are often issued with a walking aid, such as a frame or pair of crutches, on loan to get them mobile again. But what happens to them when they are no longer needed? Many are left in garages and attics to gather dust. If unneeded equipment was returned, it could be refurbished and reissued to someone else, saving money as well as reducing waste. Currently the UHB issues over 10,000 walking aids a year. Of these, only one in three is returned, and one in four is refurbished and reissued to someone else, saving the UHB nearly £20,000 per year. 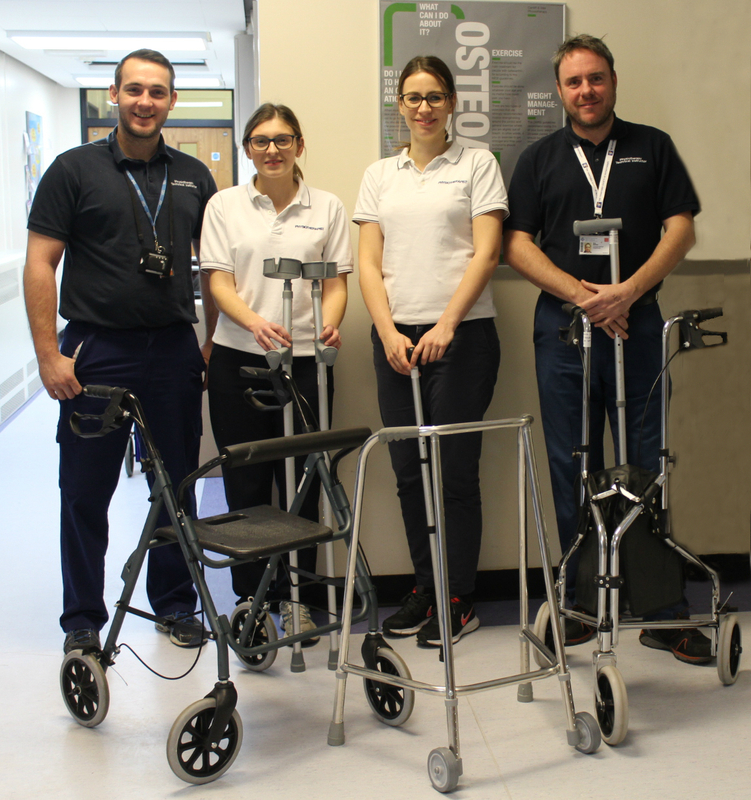 Sue Rees, Deputy Head of Physiotherapy Services for Cardiff and Vale Health Board said: “We are asking people to return any walking frames, crutches and three or four wheeled walkers that they have been loaned from the hospital or from a community service. “Working together with the public we can refurbish more equipment for reuse, and help reduce waste and save money. “The money we save from refurbishing equipment and recycling goes directly back into patient care, which helps us deliver the best services possible. If you require any further information please contact Rob Skellett on 02920 746933 or Jade Coleman on 02920 742643. If you wish to return any other medical equipment as well as walking aids please call Cardiff and Vale UHB Joint Equipment Store on 02920873669 for the North and East of Cardiff and 02920712555 for the South, West and the Vale areas. If you wish to return a wheelchair please call the Artificial Limb and Appliance Service on 02920313905.